TOOELE — A huge Tooele kickoff return for a touchdown to close the first half and an unlucky turnover early in the second half spelled doom for the Hurricane Tigers as they got ousted from the 3AA state playoffs by the Tooele Buffaloes 35-7 Friday at Tooele High School. In a game that was much closer than the final score would indicate, a tense first half closed with the Tigers feeling dejected. 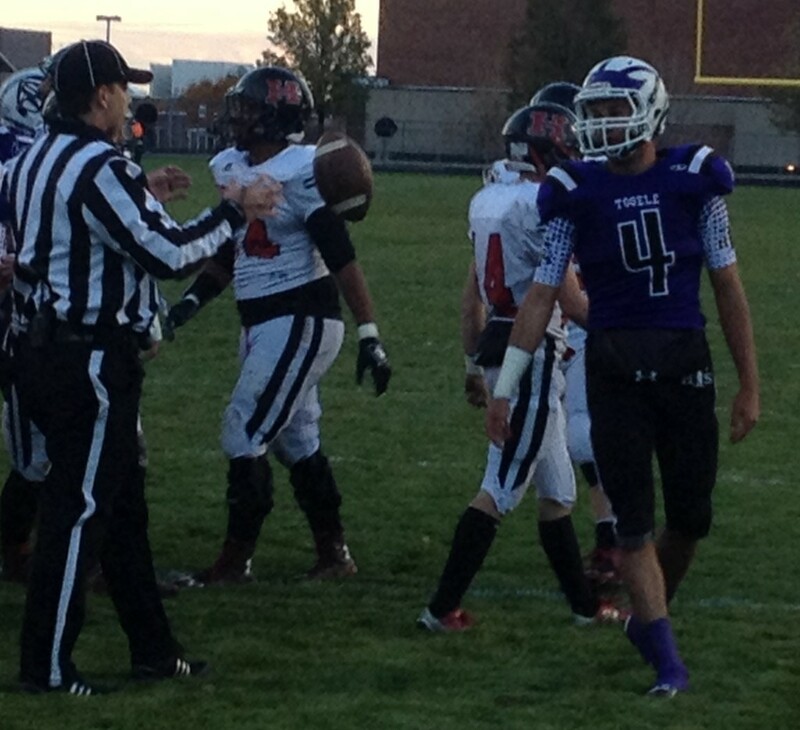 After Tooele took an early 7-0 lead, Hurricane chipped away at the defense and shut Tooele down offensively. The Tigers finally capped an impressive drive with a nifty Josh Parker to Kyle Williams 27-yard touchdown pass, which saw Williams dive over the pylon in the right corner of the end zone to knot things up at 7-7 with just 58 seconds to go before halftime. 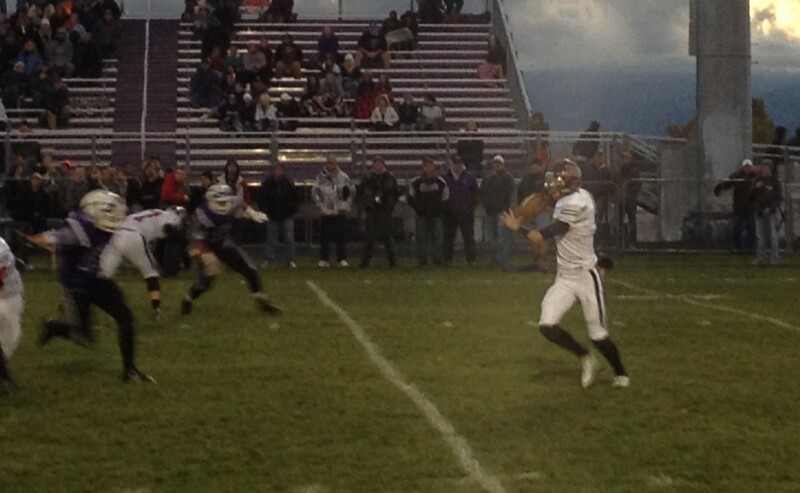 Tooele’s Ryan Brady then destroyed Hurricane’s hopes and dreams on the very next play. Brady fielded the kickoff from his own 16-yard line and proceeded to break at least four tackler, including the use of a nasty stiff arm on the kicker, who was the last man standing between him and six points. Tooele head coach Kyle Brady said his son’s kickoff return was monumental in changing the game. Tiger head coach Steve Pearson added that the kickoff return TD was simply deflating for his team. Hurricane came out of the half and immediately stalled on its first drive, going three-and-out. Tooele’s Lincoln Powers then took over, capping a pretty drive with a 10-yard TD scamper off of a dive play to the left side. On Hurricane’s ensuing drive, a botched snap handed the ball once again to Tooele, which quickly capitalized on a short field. Powers scored another TD, this time from 27-yards out on a sweep to put the Buffs up by what would prove to be an insurmountable 28-7 lead. Tooele’s defense shut down Hurricane and the Buffaloes cruised to the win that would send them to the state semis next week at Rice Eccles stadium. The Buffs improved to 8-3 on the season with the win and return to the state semis for the first time since 2003 and will face the reigning state champ, Dixie. Hurricane finishes its 2015 campaign 6-4, having reached the 3AA quarterfinals. Senior RB Lucas Stout reflected on his career as a Hurricane Tiger. Pearson added that this year’s team exceeded expectations.